Today is National Doctors Day, a day to recognize physicians for their dedicated work and to say “thank you” for all that they do for us and our loved ones. At VIP, we’re excited to announce our newest loan program available for medical doctors. We all know the heavy price tag that comes along with the extensive education and hands-on training required to become a physician. We now offer a program to assist those who are dedicating their lives to caring for others. It’s the least we can do for all they do for us! 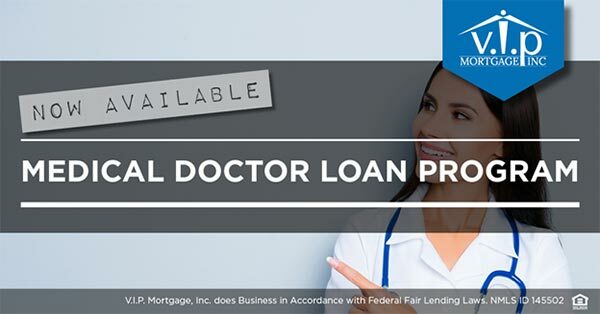 If you’d like more information about our Medical Doctor Loan program, feel free to call me at 480-776-2951 or shoot me an email at pkolesar@vipmtginc.com. On #NationalDoctorsDay and every day, let’s show our gratitude to these fine men and women!